Gulf Oil Lubricants grew its topline faster than the industry average yet again in FY18, thanks to its efforts to expand its distribution reach, and its marketing and promotion exercises. So far this year, the company has clocked revenue growth of 30 percent and is on course to beat its growth number for the previous fiscal year. In addition to this, it is shoring up its entry into the two-wheeler battery space by tapping into its existing reach. 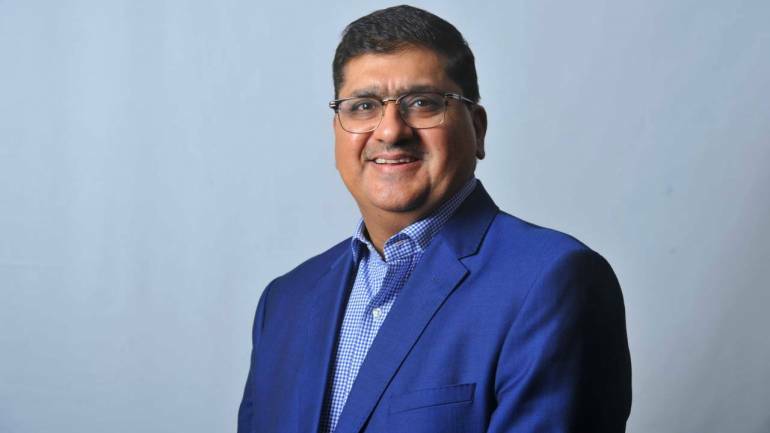 In conversation with Moneycontrol, Gulf Oil’s MD Ravi Chawla talked about his take on the lubricants market, the company’s current capacity and some of its plans for the future. Q: How much has the company grown by this year? A: Last year we grew 14 percent in volumes while the industry grew between 2-3 percent. Some of our competitors had negative growth in the April-June quarter this year but we had positive growth. This year so far, we have grown by 30 percent. Our B-to-C (business to consumer) channel grew very well and our OEM tie-ups have proved fruitful. Q: What kind of growth are you expecting to end FY19 with? A: Last three years, we have strengthened our distribution network. We have hired people from Castrol. The total touch points we have is 75,000-80,000. We should be able to beat last year’s growth easily this year. Q: Could you talk a bit more about the lubricants market? How are you placed at the moment? A: Public sector undertakings own 35-40 percent of the domestic market. And they play in all the segments – processed oils, transformers, defence. Among the private sector brands, we were number six or seven. Now we have moved to number two. Q: There are so many players in the lubricants market. How do you differentiate the best from the rest? A: We have about 16-17 players in India. There are another 10 looking to enter this space. There is no requirement of capital to get into this business. If you want to get in, there are toll blenders available. But we have our own lubricant plant. To be a serious player you need to have an all-India network. Q: What is the size of the lubricant market in India? A: The current size of the market is about 2,500 million litres a year, and it is valued at about $4.5 billion. Of this, 1,750 million litres, or around $2.25 billion, is auto lubricants, in which we have a market share of 5-6 percent. Our share in the motorcycle segment is 9 percent and our share in the trucks and tractors segment is around the same. Q: How much capacity do you have right now? Do you plan to add any? A: We have our facility in Silvasa and we added another one in Chennai six months ago at a cost of Rs 200 crore. This will take care of our needs for the next 3-4 years. We have a capacity of about 100,000 kilolitre per annum now and we can go to 175,000 kilolitre per annum with minor investments. Q: Your share in the passenger vehicle segment is low. A: We started focusing on passenger cars only in 2016-17. This segment is very dependent on OEM tie-ups. We have been investing in the brand and distribution and hopefully we can get more OEM tie-ups like the one we got with Tata Motors recently. Cars are the smallest of the lubricants pie, while trucks are the biggest. Q: What is your guidance for growth this year? A: After the implementation of GST, demand has moved to the organized players. Our internal guidance is that we will beat the market growth by 3-4 times and we have been doing that. We want to maintain a band 16-18 percent on our margins. We will take new B-to-B business like OEMs. Q: What are your plans for the battery segment? A: About three years ago, we realized that we have a strong brand in the motorcycle segment with Gulf Pride. About 60 percent of our distributors were also selling two-wheeler batteries. And we sensed that the demand for replacement of two-wheeler batteries and the market was dominated by unorganized players. The market had just two large players. So we tied-up with someone who supplies to BMW. We have 1 percent share. Now we have decided to take it higher. Network development, and expansion of supply points, we have done. Eventually we will make the batteries here, but at the moment we are importing it. The turnover of that business is Rs 40-50 crore. We can double it every 18 months. Q: Where do you see yourself in the battery business? A: We should be able to get a similar market share in batteries as we have in the lubricants business. Battery companies are making 15-20 percent profit and so it should be a Rs 300 crore business. About 1.2 million batteries per annum should be a good threshold level before we invest in capacity and presently we are doing one-third of that. A battery plant should cost around Rs 70 crore. We are looking at capacities that are coming up and we need not set up a line ourselves. Q: What is the battery demand in India like?